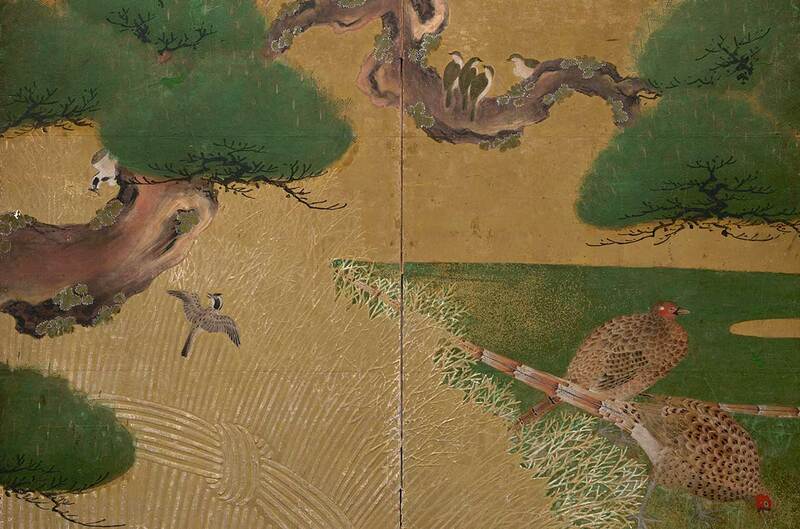 Tosa school founder Tosa Mitsunobu (1434–1525) painted for temples, palaces and the imperial court. 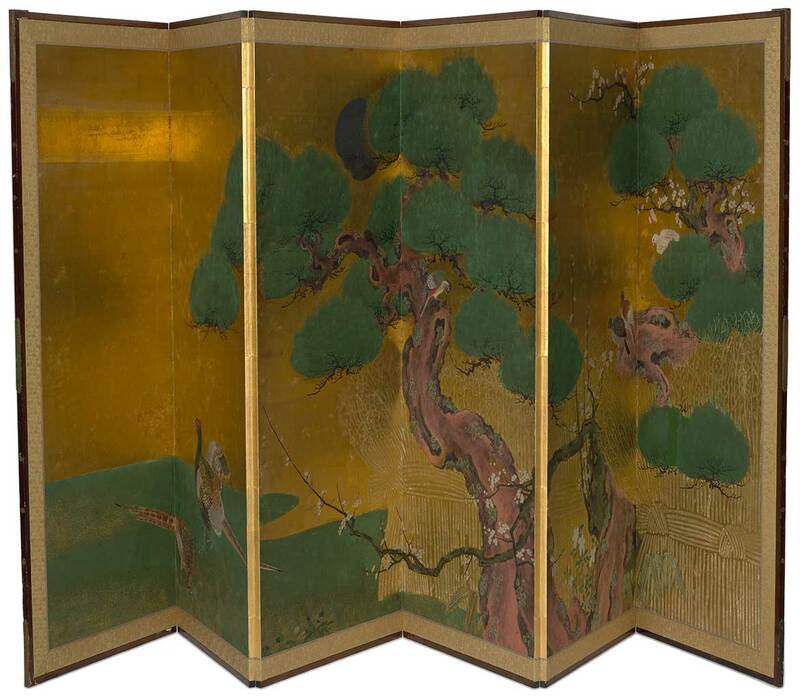 He and his disciples specialised in yamato-e (literally, pictures of Japan), such as this finely painted seasonal landscape Pair of six‑fold screens with pine trees c.1650, that were highly favoured by Japan’s imperial court and aristocracy. 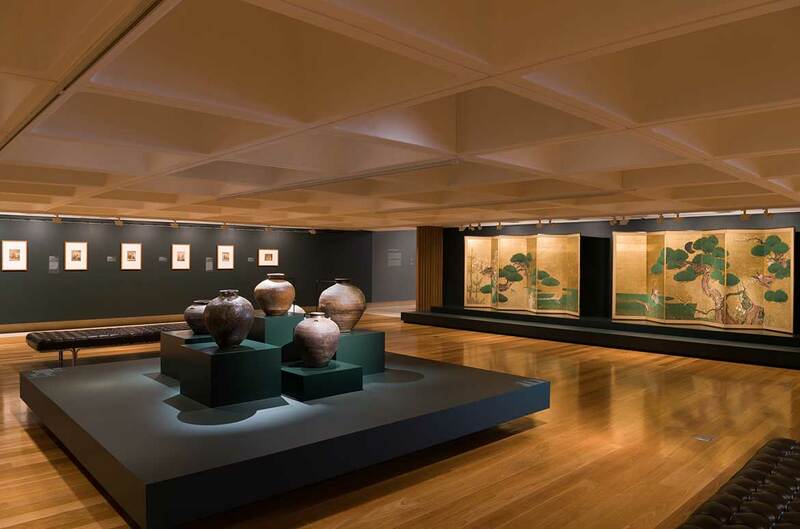 The stylistic conventions of yamato-e, and use of the term, had emerged centuries before as Japan distinguished itself aesthetically from the mainland of China, and it was due to artists such as those of the Tosa school that it saw a revival. 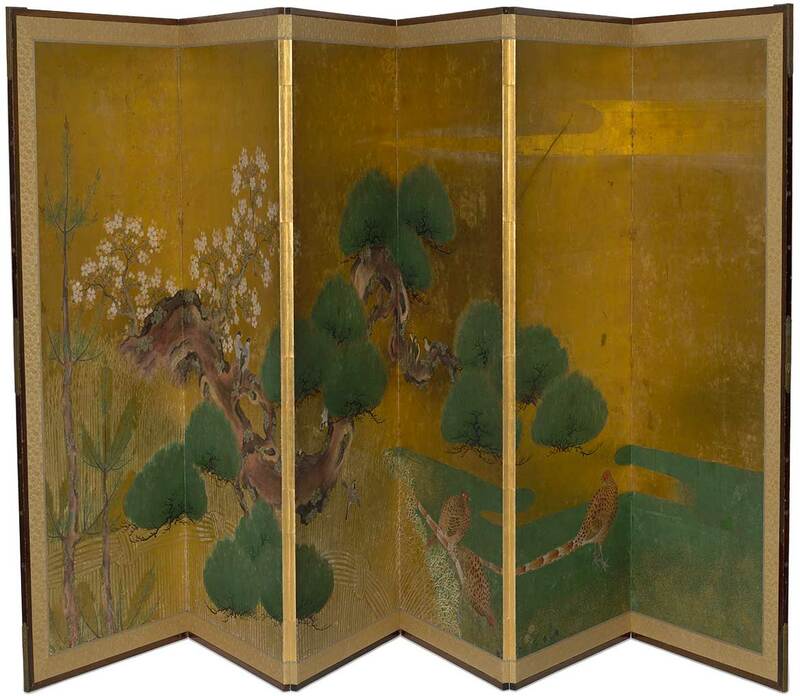 This pair of screens is consistent with the yamato-e tradition of showing the change of seasons. 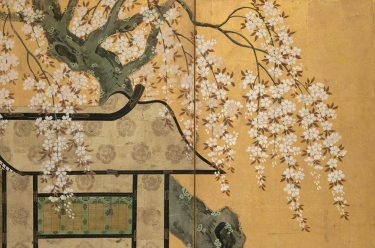 The painting depicts winter changing into spring with its inclusion of symbolic elements such as the evergreen pine, often associated with winter and New Year; bamboo, seen along the lower edge; and a plum tree in bloom, seen late in the season signalling early spring. 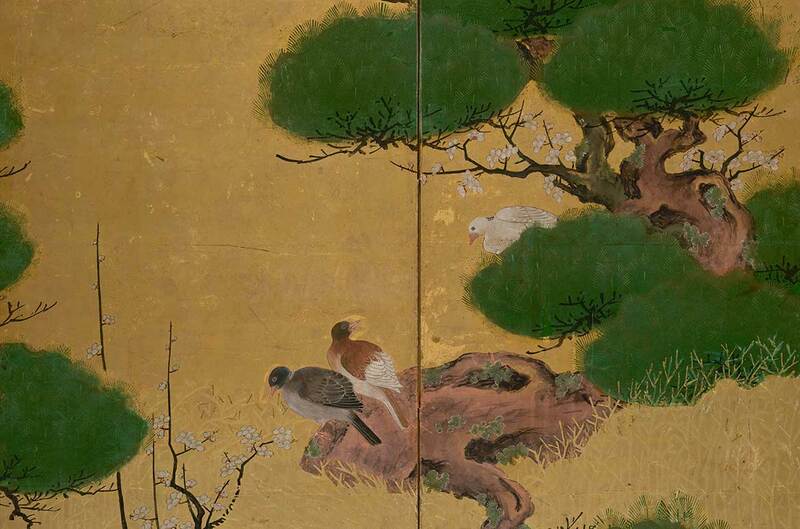 The screens also depict a range of birdlife, including pheasants – often associated with spring – and a textured pattern using the moriage (raised decoration) technique for the golden fence of dried and bundled twigs in the foreground. 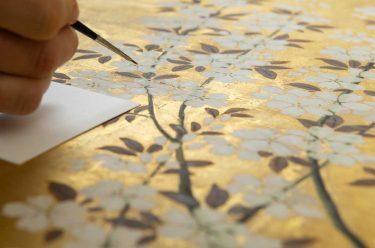 Behind the largest pine, a silver moon, now blackened with age, can also be seen.